We are all familiar with the story, even if we have not read it. The image of Dr. Jekyll drinking a potion and transforming into the hideous Hyde has become part of our collective psyches. I confess that this was the first time I had actually read Stevenson’s novella, and even though I was familiar with the general story, I found the text itself to be enlightening. While I noticed quite a lot of interesting symbolism in the text, I figured I would focus on the one that really stood out for me: the hidden part of the human psyche. This is symbolized by Hyde. I do not think it is a coincidence that Hyde is pronounced “Hide.” He represents that part of our consciousness that we want to hide from others, and which we would also like to hide from ourselves. He is the primal part of our being that drives our urges. Try as we may to suppress that part of ourselves, it is always there, just below the surface, waiting for its chance to surge upwards and wrest control. 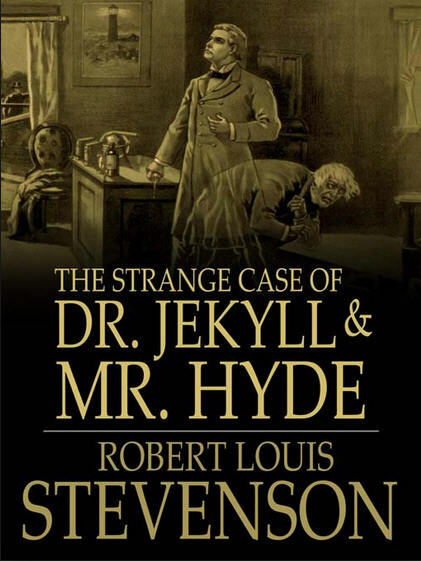 Early in the story, Mr. Utterson, Jekyll’s friend and lawyer, senses that there is something that Jekyll is hiding something. In our youth, we have less control over our primal instincts. We are more likely to succumb to our urges and desires, whereas in our later years, most of us have learned how to control that part of our consciousness. After Hyde commits murder, Utterson confronts Jekyll and asks whether he is concealing Hyde. I love this passage because it is essentially a triple entendre. There is the obvious meaning of hide as concealment. Then there is the homonym connection between hide and Hyde. Finally, there is the alternate definition of hide as skin. Jekyll’s skin, or hide, conceals the darker aspects of his consciousness as embodied in Hyde. Considering all the interpretations, it’s a brilliant metaphor. The transformative potion which Jekyll drinks is referred to as “transcendental medicine.” As I read this, I couldn’t help thinking that this was some form of psychotropic or hallucinogenic drug. Hallucinogens are believed to unlock the hidden parts of our consciousness, or as Blake would have said, open the doors of perception. I suspect that Jekyll’s potion was intended to represent a mind-altering drug that allows the hidden aspects of our consciousness to rise to the forefront. As the dualistic aspects of human consciousness are explored, the assertion seems to be that the primal subconscious is essentially evil and should be subjugated by reason. …all human beings, as we meet them, are commingled out of good and evil: and Edward Hyde, alone in the ranks of mankind, was pure evil. The following passage incorporates two of my favorite symbols: the crossroads and the doors. Here, the crossroads represent the intersection between the conscious and the subconscious mind, as well as the intersection between good and evil, the two contradictions that are embodied within us. The doors represent the passageway to that hidden part of our psyches, where the darker regions of our consciousness exist. That night I had come to the fatal cross-roads. Had I approached my discovery in a more noble spirit, had I risked the experiment while under the empire of generous or pious aspirations, all must have been otherwise, and from these agonies of death and birth, I had come forth an angel instead of a fiend. The drug had no discriminating action; it was neither diabolical nor divine; it but shook the doors of the prisonhouse of my disposition, and like the captives of Philippi, that which stood within ran forth. I think the scariest thing about this story is it forces us to recognize that the potential for evil exists within all of us. We like to deny it is there and hide it away, but it is always waiting for the doors to open, to surge up from the depths of our psyches and overthrow our reason. Sanity is fragile, and once it cracks, the hidden crawls forth. I love The Doors and I am a huge fan of Jim Morrison’s writing, but I have to admit that some of what was posthumously published as “poetry” is really nothing more than the scribbled thoughts of someone who was way too stoned for his own good. 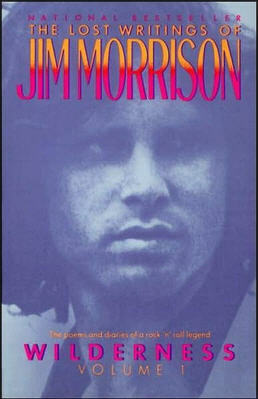 Much of what is in Wilderness Volume 1: The Lost Writings of Jim Morrison falls into this category. The following poem, though, is one of the better pieces in the collection. On one level, Morrison is expressing how his music and poetry has the power to influence the world around him. Art has the ability to speak directly to another person’s subconscious mind. It is also an expression of the artist’s inner thoughts and being. Through the sharing of music and poetry, people are able to catch glimpses of their inner selves, something that is very difficult to achieve by ordinary interaction.